I've got the old packaging of it. Like I said, I used it together with the Phyto Niacin. The Fresh Herb Origin Serum at night and the Phyto Niacin at day time. They are a perfect combo! The Fresh Herb Serum has a smell. But, it is bearable. It smells like lemon and oil. I dunno. But, I like the smell! Most importantly is that, I used it for months now. Just a little drop and it can cover all your face! It has a moisturizing, nourishing, and refreshing effect on the skin! It is also good for our pores. 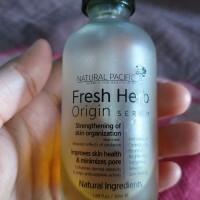 It minimizes the pores which is really big problem for me! My skin improves when I used it! I always hated my pores because they're very visible but after using this they're less noticeable! That's mostly the reason why I love this serum so much because it helped me deal with one of the hardest skin concern to target. It also greatly helped me lighten my PIHs that are very hard to get rid and this serum really kept my face glowy and healthy. I swear by this serum! FIRST IMPRESSIONS: - the smell is quite strong but don't worry, it's far from artificial fragrance that we all don't like. It has a strong citrus smell, but indeed, very natural. 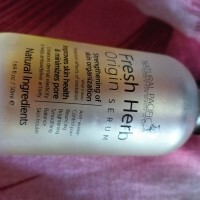 Nacific Fresh Herb Serum: I think this product is overly raved. The ads shows that with continued use you will have this perfect skin but I didn't. I already finished a bottle of it but it didn't provide significant changes on my skin. The only thing that I have noticed was it tighten my pores. This serum has this 2 layers so you need to shake it before using. You have to put just the right amount for it not to be too oily. I mix couple drops to my moisturizer to make it less stings, don’t forget to shake it well before use to mix-up the water and oil content. Because this serum contains several essential oils, I choose not to use this serum when my skin is on reactive side. I love using it when my skin in dehydrated side and it does perform well to maintain elasticity.